You’re gonna love these easy peazy, mouth-watering Instant Pot Ribs! They’re made in minutes not hours with your beloved pressure cooker! These instant pot ribs are so tender, they literally fall off the bone! I love to season mine with a dry rub and then lather them with a low carb BBQ sauce and then pop them under the broiler and watch them caramelize. Since these beef ribs are cooked in the Instant Pot, not only are they cooked in a fraction of the time, but they become the most tender beef ribs imaginable. You’re family with literally think you were slaving over these for hours. If you don’t have an Instant Pot, you can also use any other brand of pressure cooker to make these ribs. Instant Pot is just a brand name pressure cooker that has a lot of bells and whistles (most of which I don’t use, but I wouldn’t trade it in for anything else!). First, place the stainless steel container into the Instant Pot. Next, put 1/2 cup water, 1/2 cup apple cider vinegar into the container. After that, place a trivet or silicone steamer basket into the container. Next, take your rack of beef ribs and place them on a flat surface. Sprinkle the top half with my homemade BBQ seasoning from my tasty BBQ Turkey Sliders. If you don’t have the individual seasonings you can opt for some pre-made BBQ rub. Just make sure it doesn’t have added sugar in it if you’re looking to keep your recipe low carb. Put on the pressure cooker lid. Make sure that the vent is set to sealed. Hit manual high pressure. Change the time to 22 minutes. Let the pressure release naturally for 10 minutes and then manually release the rest of the pressure. If you’ve made a recipe in the Instant Pot before, you may or may not have used a trivet. A trivet is usually a metal stand that is 1-4 inches in height that allows you to cook food without the food sitting in the liquid. Liquid is needed for the pressure cooker to come up to pressure. Without added liquid no recipe will work at all. Super basic trivet without arms. This one is good for making things in circle containers that would normally be a really tight fit, like my Instant Pot Low Carb Cheesecake. Taller trivets are really nice because they allow you to cook more than one food item at a time. You can be cooking something in the liquid below and then cooking something in a container above. Some trivets are now being designed with steamer baskets built in. This is super handy because it will save you from doing one more dish! With these beef ribs. I like to cook them for 22-25 minutes in the Instant Pot. You can do a natural pressure release for 10 minutes or you can let it fully depressurize by itself. I haven’t seen much of a difference in the texture/tenderness of the beef ribs. Now pork ribs take less time to cook in the instant pot than beef ribs do. Pork ribs tend to only take around 18 minutes to cook in a pressure cooker. I once tried to cook them for the 22 minutes like the beef ribs and it was a disaster. It basically turned into pulled pork because they were so tender they were falling apart when I tried to recipe the pork ribs from the instant pot. If desired, turn your oven to broil. Place the beef ribs on a cookie sheet. Top with your favorite BBQ sauce. My favorite store bought low carb BBQ sauce is Alterna Sweets. I met the owners Misti and Jared out at KetoCon last year. They are the sweetest and I love what they stand for as a company! They even have a 100% satisfaction guarantee! They also have given me a discount code to share with my readers! Use “LARA5” at checkout to get 5% off your order! If you have an additional 10 minutes, make my homemade keto BBQ sauce recipe. It’s done in no time at all and tastes great! After you top with low carb barbecue sauce, broil for 5 minutes. BAM! The best fall off the bone ribs you’ve ever have. HOW DO YOU REMOVE THE MEMBRANE FROM THE RIBS? Slide a knife between the membrane and bones on the ribs. Wiggle the knife a little bit. You will notice the membrane will start to loosen. Do this until it tears apart from the bone. Now, take the edge of the membrane and tear it away from the bone. You may want to use a paper towel or gloves to help you hold onto the membrane. That’s it! HOW DO I KNOW WHEN MY RIBS ARE DONE? Your ribs will be done when they reach an internal temperature of 165F. You can check this will a meat thermometer like this. When checking the temperature be sure to stick the thermometer into the meat only and not to touch the bone which can skew the reading. To start off, beef ribs as the name states, are from a cow. These ribs are typically the ribs that come from a rib roast. These are the ribs labeled “beef ribs” in the grocery store. When you have a boneless ribeye, these are the bones that have been removed. Baby back ribs are pork and are from a pig, not a cow. These ribs tend to cook much quicker and are smaller than the beef ribs. Instant Pot Crack Chicken – perfect for a delicious dinner the entire family will love! Cauliflower Soup with bacon and Cheddar cheese – this soup will please the pickiest of eaters! Keto Cheesecake – this is basically a staple – perfect dessert to bring for friends and family gatherings! 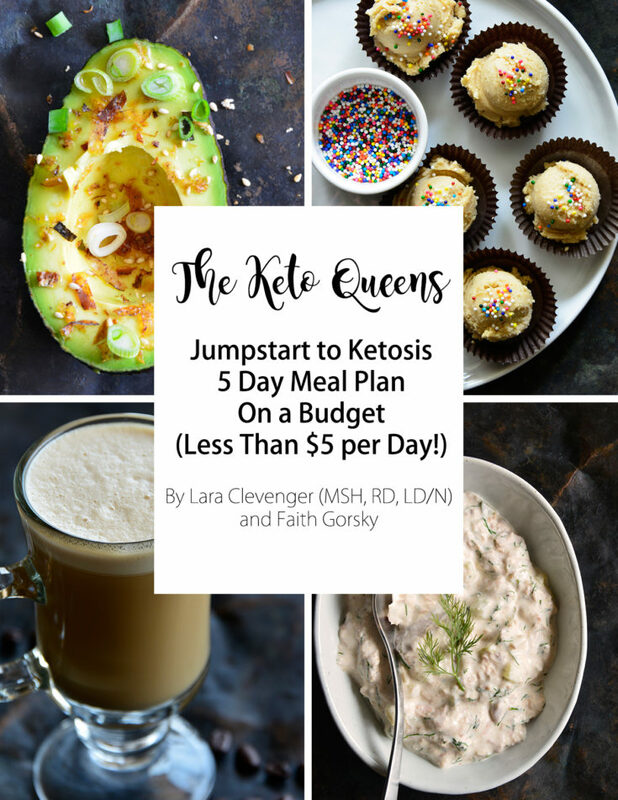 Did you know that I am such an avid user of the Instant Pot for meals that my business partner Faith and I actually created, not 1 but 2 KETO INSTANT POT RECIPE EBOOKs? Yep! Click the image below to purchase our 20 recipe keto Instant Pot ebook for just $4.99 on amazon! I also have low carb and keto Facebook group that I’d love for you to join! We’re up to over 90k members and we share our favorite low carb and keto instant pot recipes! First, place the stainless steal container into the Instant Pot. After that, place a trivet or steamer basket into the container. Next, take your ribs and place them on a flat surface. Sprinkle the top half with my homemade BBQ seasoning. If you don’t have the individual seasonings you can opt for some pre-made BBQ rub. Now with your fingers or a spoon, rub the seasoning into the ribs. Place the ribs on the trivet or steamer basket. Put on the IP lid. Make sure that the vent is set to sealed. Hit manual high pressure. Change the time to 22 minutes. Let the pressure release naturally for 10 minutes and then manually release the rest of the pressure. If desired, turn your oven to broil. On a cookie sheet please the beef ribs. Top with your favorite BBQ sauce if desired. Broil for 5 minutes. Hi! Are these actually beef chuck short ribs? Like the ones that are usually braised? Most IP recipes I have found suggest a 35 - 45(bone-in) cook time! Hi Christina, no these are beef ribs that are under the ribeye on rib roasts. They are longer and not as thick as chuck short ribs so they cook much quicker. I agree. My ribs took closer to 40 minutes to have the tenderness I was hoping for. I had beef ribs, otherwise the recipe was the same. Great recipe! Thank you for this. I wish there was a way to melt more of the fat off the bones like when I bake them but this certainly cuts a lot of time out of babysitting the oven and doesn’t make the house too hot either! To melt more fat off of the bones you can boil them with some vinegar. My husband loves to make these ribs. Gah! You forgot to mention the most important step! Remove the membrane before cooking! Hi Allison, you can remove the membrane, but honestly, I don't. It's an extra step and the ribs taste amazing without them. My family eats them fine with it still attached. You didn't say if it should be HIGH or LOW pressure! Please clarify!! Sorry high pressure. It's what mine defaults to. YAY! So glad that you loved them! Do the ribs need to be in a single layer or can they be stacked? I just made these they were Soo good. I let it sit for ten minutes after the beep. Then put in the broiler for 5 mins it was so good. Yay! I'm glad you loved them!